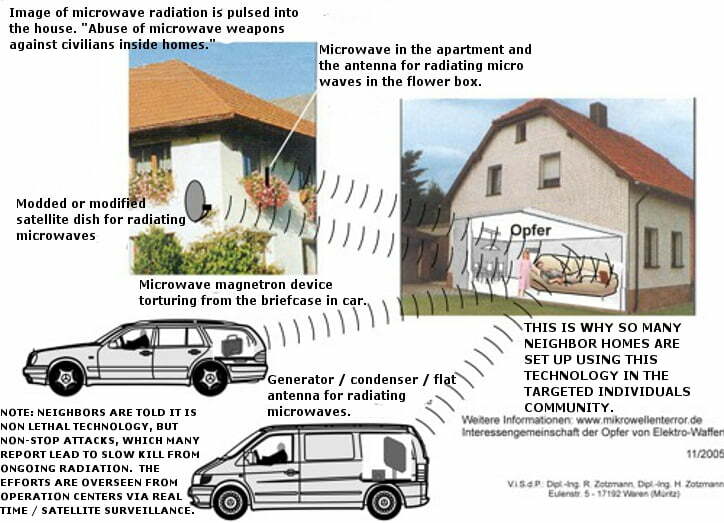 Yes, for all of you worrying about microwave attacks and damage from 5G and being harassed by the numbnutz among us, be advised: (1) you already routinely sustain more microwave and plasma bombardment than any ambient level particle stream; (2) if you plug yourself and/or your car and/or your house into the Earth’s magnetic field you can deflect particle streams at will; (3) your own electrical field — your “aura”– is strong enough to deflect attacks, too, you simply have to become aware of your ability to close off your system and repulse or reflect back unwanted electromagnetic pollution. We all live in a protective bubble of electromagnetic energy and we all have “energy bodies” that exist as organs within that bubble that coordinate the functioning of that protective energy field called our “aura”. You generate your aura like a power plant and you determine its field strength and reach and also its conductivity or lack of conductivity. Most people bumble around unaware that they have an aura, energy bodies, or any choice about incoming electromagnetic pulses, streams of ionized gas particles (plasma) and so on —- but you do in fact have built in sensors and can learn to operate your aura defensively. You can also learn how to strengthen it, direct it, and supplement it. Your individual energy field typically extends about six feet in all directions around you— up, down, and in all four cardinal directions. Some individuals have much larger and stronger auras that may extend twenty feet or more in all directions, and which may or may not “pulse” — that is, express in expanding wave forms, like what you see when you drop a rock into a pond. The aura exists outside the normal visual range of living people so to most people, most of the time, it is invisible — but in fact, it has color, which depends upon the predominate frequency of energy being pumped into it. Most people who are less aware of their energetic environment leave their aura on “autopilot” and lapse into a habitual energetic state and their aura stays pretty much in one color range as a result. The majority of people walking around thus project faint white light, faint blue or blue-green light, faint pink light, and faint yellow light, but you can only see these colored electromagnetic fields by learning to use another “invisible” organ, your internal eyes. 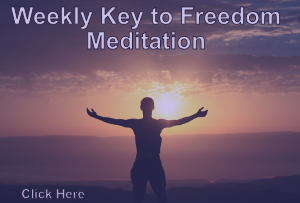 The same awareness has been available to yogis in India and Tibetan monks and Druids and many others down through the centuries. It’s time you caught up and learned to use the full potentials — no pun intended — of your space suit. People who are stronger in spirit have stronger and deeper colored (more dense) auras. People who are ill or in a weakened state have faded or misshapen auras — auras that look like deflated soccer balls, instead of nice egg-shaped or spherical bubbles. Generally speaking, healthy people who eat organic food have stronger and better-shaped auras at any age, but your aura does not necessarily decline with age as your body does. Over the course of centuries most of us have sustained damage to our auras and our template energy bodies — the organs that cleanse, protect, project, and manipulate our energy field. We may even be missing entire energy bodies or parts of them. This is usually, though not always, because we unconsciously gave our energy bodies to someone else. This can be because of any intense emotional or practical situation where our heart deems it necessary. Soldiers on a battlefield will give energy bodies to dying comrades if there is a chance of saving them by doing so. Women will often give their energy bodies to their lovers or to save their children. This all results in most people having scattered their energy bodies all over the world — but they remain ours, and we can recall them, if we are aware enough to do so. So once you become aware of your aura, you will become aware of “holes” in it, left by missing energy bodies. Ask Our Father for their safe return, so long as there is not a greater need for them to be elsewhere. After all, if it was your intention to save the life of your elderly Mother by loaning her an energy body, you would not want to interfere with the working out of that intention, would you? Those who have mastered their own aura and who use it consciously can close off incoming radiation from other sources and deflect such unwanted “communications”, however, it must be anticipated by you that as you become more aware of your aura that you will also become more sensitive overall. You will feel other people’s auras impinging on yours at the grocery store, for example. Until you learn to “power up” and deflect this jostling and overlapping it can make being in enclosed spaces with other people very uncomfortable. You may also experience unwanted forms of intimacy with others as your aura meshes with and communicates with theirs. Thus you will know more about other people than you may really want to know and you may feel more compassion than you can readily explain or you may feel deep antipathy for no obvious reason. You may also experience odd sensory data collections — such as suddenly finding yourself literally looking at the world through someone else’s eyes. This is all “data streaming” coming through your aura and its energy bodies and sensory organs. And this is all because you are literally living in a protective space suit inside a protective electromagnetic force field “bubble” that has its own sensors and organs — your aura. So if you are one of those being pestered and tortured by evil little demonic men pricking your sensor array and poking your aura, it’s high time that you learned how to deflect and even reflect the experience right back at them. You don’t have to practice yoga for twenty years to learn how to do this. You simply have to be aware of your aura, the energy you are giving it or not giving it, and whether it is “open” or closed to incoming communication, and whether or not it is in “deflect” or “reflect” mode. I can project my aura over great distances. With minimum identification data, I can place a protective bubble around any object, animal or living man or woman that I want to protect. I can communicate telepathically. I recognize energetic threats. I can repair most damages to my aura and energetic bodies and if I am hurt beyond my own abilities to correct, I know where to go to get assistance from experts. I can deflect or reflect energy away from me and my aura or any other point on the planet. I can recall my energetic bodies if I ever again loan one for any purpose. The list goes on…. And these are all rather “routine” powers that we all possess, and which we simply have to become aware of and learn to use in the same sense that you learn how to use a radio or a typewriter. For those who are suffering as “Targeted Individuals” obtaining and using this knowledge has become a lot more urgent, because as long as you continue to just ho-hum dawdle along and leave your energetic body open to these attacks, not only will they continue, but those responsible for them will not be punished for it — which makes the likelihood that these practices will continue and expand. We can write to the UN Secretary-General, carbon copy to the “Congressional” Delegations of the “State of State” organizations, and point out that we are not “domestic targets” with respect to these Vermin– which has proven effective in many cases; but, the most direct and effective means of dealing with the problem is learning to use your own aura and its capabilities to fry the Vermin where they sit. Once they realize that we are not helpless targets for their manipulation and that in fact we can not only defend ourselves but apply effective counter-measures guaranteeing the demise of those who seek to harm us — that will end this particular problem faster than any slap on the wrist from political leaders. They may jump up and down and whine and cry, but after all, they have kept the existence of their various EM weapons a secret, claimed that they do not exist, and only admit to them in treaties with each other—- so they will find themselves with their very own “Tin Hat” Problem. Begin by trying to feel your aura. How close can a family member come to you before you sense their presence? How close can a stranger get to you before you feel their presence? That’s your aura in action. Most of all, set aside time each day to connect with Our Father, the One Life within us all, and ask for help and instruction. Those who ask, receive help and instruction and insight. Those who don’t ask for help are left unguarded and ignorant, because their lack of action seems to signify that they want to be in the condition they are in. Targeted individuals — even if you don’t believe that you have an all-powerful and compassionate Father in Heaven, even if you feel that you have been abandoned, you can believe in the life that flows in your blood and breathes in your lungs, and He is literally “within” you, so your belief or not is a moot point. Simply ask and keep asking. I believe Universal Law allows us to protect ourselves. So, if my shield bounces a negative energy beam back to where it was sent to me from, I am within my rights, and the negative energy will have to be dealt with at it’s source. Hopefully, whoever sent it would learn a valuable lesson and end the negativity, utilizing their free will, of which I have no control over and cannot interfere with, according to Universal Law as I understand it. Just a though. To reflect or send back negative energy just continues the negativity.